I got a CEM SMD-100 Smart Electronic Components Tester because it was on sale at very low price. It turned out to be a bad investment. The component tweezers part make very intermittent contact with the meter, so measuring the components was very unreliable. The meter seemed to work OK with the measurement supplied leads (measures only voltage). But with tweezers it was completely useless – works sometimes, but most times not. I don’t recommend at all. I did some research, and it seems that the tweezers part was working OK itself (made good contact when measured with multi-meter). It seemed that the problem cold be on the meter end contacts (now shrouded banana male contacts can ho bad in application like this??). I went back to the shop. The sales person picked a new CEM SMD-100 as a replacement for me. He made some tests to make sure that the new one would be OK. But it failed as well. It had exactly the same problem as mine: It could not measure anything properly with tweezers. I got the money back from this bad meter. I wish that it would have good, but this product failed big time. A well working SMD smart tweezers would be a nice to have. It could not measure anything properly with tweezers. 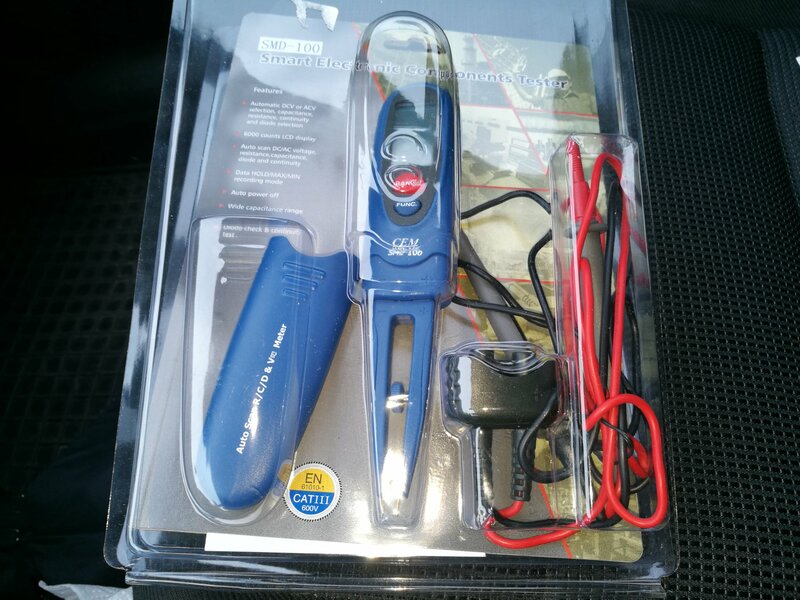 Review: SMD Tweezer Meter or Tweezer Probes For Your Multimeter? SMD components are tiny, and that presents a challenge aside from the one you’ll face when soldering them. Identifying and measuring the value of a chip component too small to have any writing upon it becomes almost impossible with a pair of standard test probes. Happily the test equipment manufacturers have risen to the challenge, and produced all sorts of meters designed for SMD work that have a pair of tweezers instead of test prods. I looked at the budget end of the market, and bought an inexpensive Chinese model for about £16($21). And since I was browsing tweezers I couldn’t resist adding another purchase to my order. 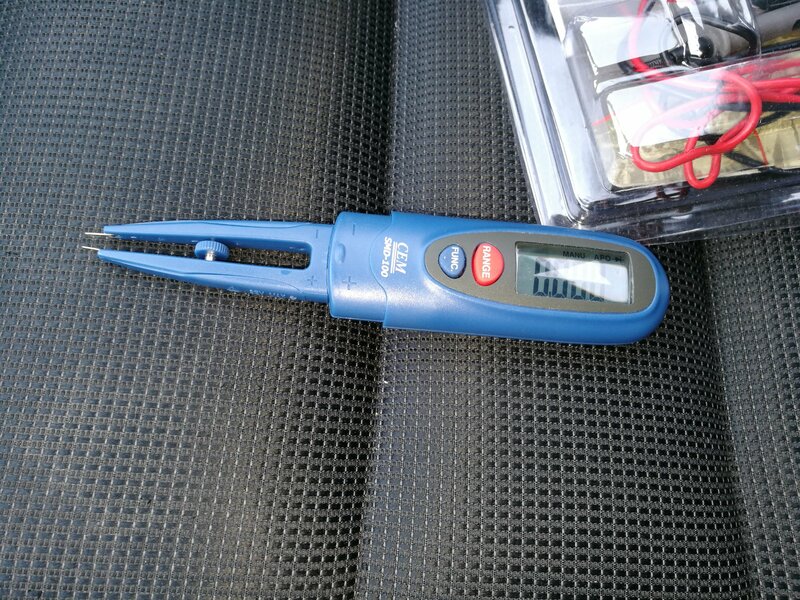 I found a pair of tweezer test probes for my multimeter which cost me just over a pound ($1.30) and would provide a useful comparison. For working with SMD components in situ, do you even need the special meter? the BM8910 are a pleasant surprise, with mostly decent English and well-presented diagrams. Turning it on by pressing the “func” button, and it enters an automatic mode in which it tries to identify the component in the tweezer as a resistor, capacitor, or diode, and give a reading. As a general point, most component measurements seemed unaffected by their placement in-circuit. An LED series resistor on an Arduino, for example read exactly as it should have. But in cases where RC networks affect the perceived value across a component as you might expect the readings it returns can not be trusted as the value of that component. if you’re in the market for a not-too-expensive SMD tweezer tester, SZBJ BM8910 is a good option. But How About The Basic Option? These these £1 wonders are functional tweezers with a plastic grip and a single flex about 50cm (1’6″) long that splits into two wires with 4mm plugs for the meter terminals. The tips of the tweezers aren’t as nice as those on the BM8910, being just the plated spring steel of the tweezers themselves. Operation is simple: plug it into the meter, and you’re good to go. Gripping SMD devices is easy enough, and identifying resistor values is yet again fairly straightforward. The inexpensive SMD tweezer probes are not the highest quality tool you’ll have on your bench, but they are so cheap that it’s an easy choice to add to your arsenal. They aren’t really as convenient as the dedicated instrument for measuring the values of SMD components, but they do bring all the meter’s capabilities to bear and it’s extremely convenient to be able to measure voltages. Buy a set, you’ll find them useful.